Hernias are simply bulging in tissue or an organ through a weak spot in connective tissue or muscle that holds it in place. Hernias usually occur in the abdomen, but they may appear in the belly button, groin, or upper thigh. Abdominal hernias happen when weak spots develop in the layers of tissue and muscles that hold organs in place. Hernias can be caused by many factors, but in children, the cause is usually a weakness or defect that is present at birth. Inguinal hernias are the most common hernias in children, affecting an estimated 3-8% of full-term children. Most children with inguinal hernias are boys due to the development of the testes. During development, the testes must pass from the abdominal cavity through the inguinal canal into the scrotum, but this canal is supposed to close before birth. Hernias can occur when the canal fails to close. Premature babies are six times more likely to develop inguinal hernias than full-term babies. It’s estimated that up to one-third of premature infants have inguinal hernias and in 60% of these cases, tissue from the abdominal cavity becomes trapped. 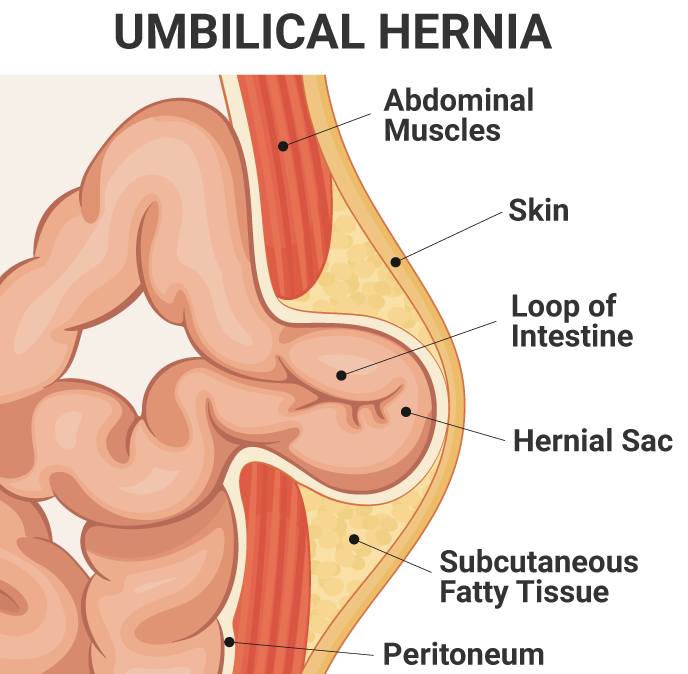 Umbilical hernias occur in about 10% of children and they happen when the hole in the abdominal muscles through which the umbilical cord passes does not close after birth. An umbilical hernia can trap some of the small intestine, but 90% of these hernias close on their own. When umbilical hernias do not correct themselves, most surgeons wait until the age of 3 or 4 to perform a surgical repair. However, if the hernia is symptomatic or is with a large defect and significant skin protuberance the repair can be performed once the child is over one year of age. A femoral hernia is another type of pediatric hernia and it’s more common in girls. These hernias usually present as a bulge in the upper thigh, groin, or labia. A femoral hernia must always be corrected surgically as it has a high risk of strangulation. A final type of pediatric hernia is the diaphragmatic hernia, which is a birth defect that causes an abnormal hole in the diaphragm, or the muscle between the abdomen and chest that assists with breathing. A diaphragmatic hernia is a very rare defect that can cause the small intestine, stomach, spleen, kidney, and other organs to take up some room in the chest cavity. Hernias are most commonly diagnosed at an infant’s routine checkup after a parent or physician notices a bulging in the abdomen or groin, especially when the child laughs or coughs. Most hernias are diagnosed before a child is 1 year old. Hiatal hernias, which typically don’t affect children, can cause pain in the upper abdomen and heartburn. Pediatric surgeon Dr. Stovroff performs surgery to treat hernias in children in Atlanta, Georgia. Surgical procedures are typically straight-forward and as minimally invasive as possible. An inguinal hernia is common in children but will not heal on its own. Surgical correction is recommended due to the risk of incarceration, which refers to a part of the intestine becoming trapped. Small inguinal hernias can often be repaired either using a laparoscopic procedure which involves tiny incisions or an open technique. The specific technique will depend on the size of the hernia and how long it has been present. 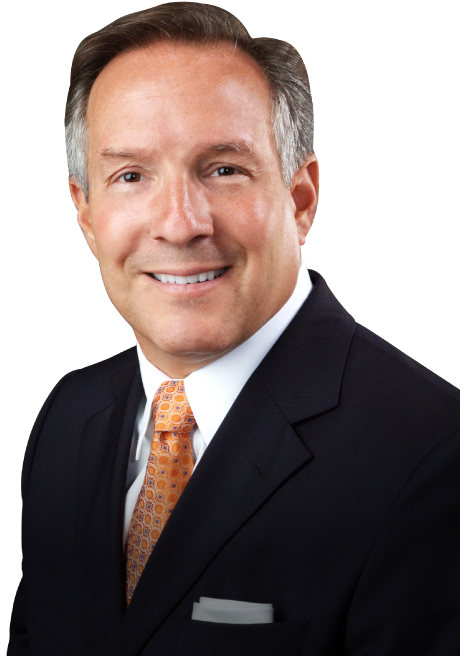 At Children’s Surgical Associates, Dr. Stovroff performs surgical hernia repair as an outpatient procedure in children who are otherwise healthy and full-term. Your child should not eat for at least 6-8 hours or drink breast milk or clear fluids for 2 hours prior to surgery to reduce the risk of inhaling fluids or vomiting under anesthesia. Most children return home a few hours after their surgical procedure, but premature infants and children with some medical conditions may need to spend the night in the hospital. Children typically heal very quickly from this type of surgery. Most children feel normal at night after the procedure or by the next day. As soon as your child feels able, normal activities and eating can be resumed. You can give your child a sponge bath the day after the procedure but wait 2 days for a tub bath. There will be tape covering the incision sites that will fall off on their own. Don’t try to pull off the strips. Minor swelling around the incision is normal. Your pediatric surgeon will likely schedule a follow-up appointment at two weeks after the surgery to check on your child’s recovery.